The Cognac glass provides space for the flavourful dimensions of cask-aged distillates, which reveal their complex aromatic spectrum when they combine with oxygen. 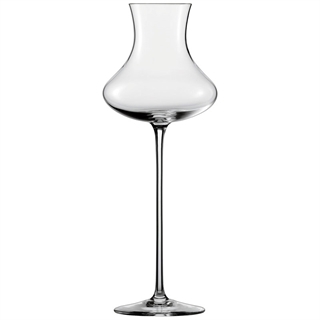 The tobacco, caramel and coffee notes of these spirits intensively develop inside this perfectly styled snifter shape, thus assuring consummate sipping pleasure. 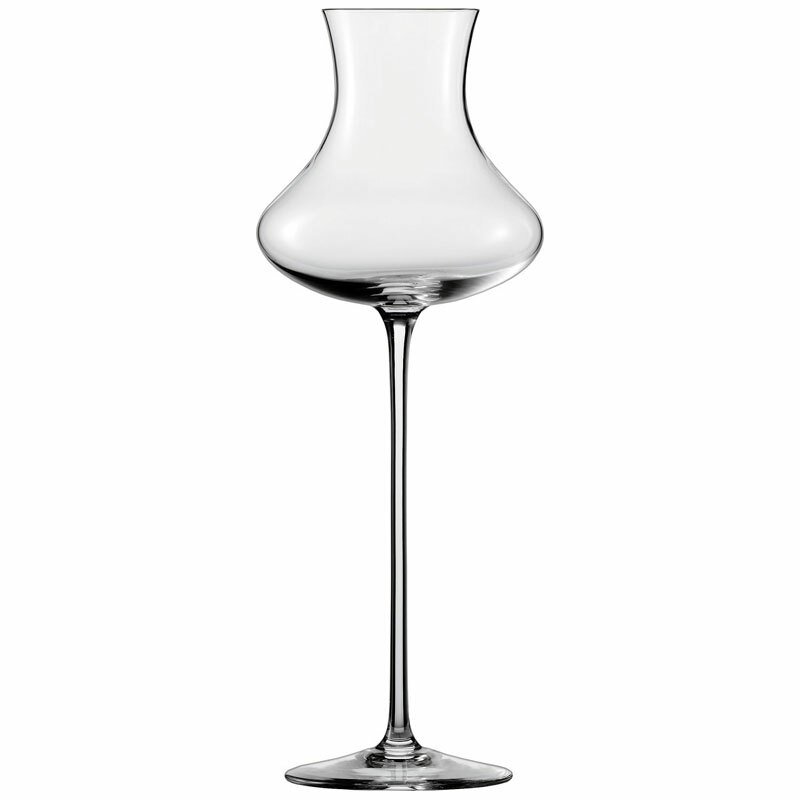 The Grappa / Fruit Schnapps Glass has an extremely flask-like form to facilitate a perfect aroma experience. The variety of grape or the type of fruit from which the beverage is distilled can be clearly perceived, and the alcohol is intensified without becoming exaggerated or overwhelming. The long ‘aroma chimney’ culminates in an outwardly flowing lip to perfectly round out the sensory experience. Suitable for Cognac, Armagnac, brandy and all other cask-aged distillates, Calvados and all other cask-aged fruit brandies.